In collaboration with the Kohler family, the Irving K. Barber Learning Centre hosted this fascinating travelling exhibit at the Learning Centre’s art gallery space. As a retrospective on author portraits in oil and ink by the late Carl Köhler (1919 – 2006), the artwork of this Swedish artist and sculptor, was inspired by art and literature, and features James Joyce, Brendan Behan, Samuel Beckett, Jean Cocteau, Günter Grass, Henry Miller, Franz Kafka, Joyce Carol Oates, Virginia Woolf and others. Köhler was a neo-modernist who especially liked to paint writers and intellectuals in a rough, haunting style that captured their writerly moods as much as their physical appearances. Carl Köhler (1919-2006) died relatively unknown outside of his native Sweden, but his art works are only generating notice until relatively recently thanks to the efforts of his son, Henry, Köhler, who has has helped his father’s paintings exhibited outside of Sweden for the first time. 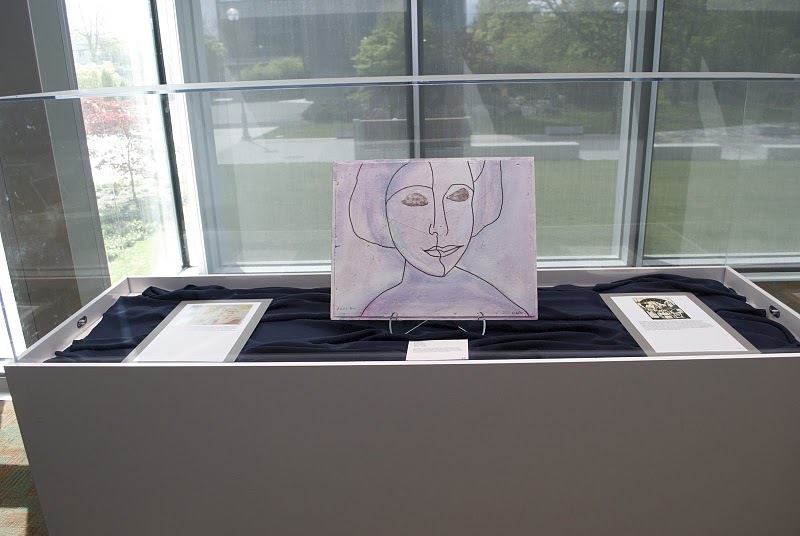 This exhibition, “Beyond the Words: The Author Portraits of Carl Köhler” has been displayed at the Brooklyn Central Library and at the Martin Luther King Jr. Library, in Washington, D.C. as well as the Robarts Library at the University of Toronto. After a successful exhibition at the Learning Centre, it moved on to the University of Chicago Library. The New York Times has featured Kohler’s paintings.